Three stars in one beautiful boxed set: " Stargirl" + "Love, Stargirl" + a "Stargirl Journal" (free ). Jerry Spinelli's novel "Stargirl," published in 2000, became an instant bestseller, beloved for its nonconformist heroine with a heart of gold. With over 1.4 million copies in print in North America alone and licenses in 27 languages, it's gone on to become an international hit. 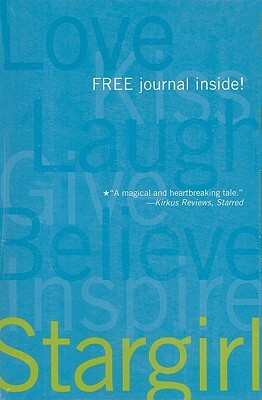 The acclaimed companion novel, "Love, Stargirl," was published in 2007 and quickly became a "New York Times" Bestseller. We're pleased to offer trade paperback editions of both novels--as well as a bonus "free "copy of the write-in "Stargirl Journal"--in this eye-popping new boxed set.